The Mobile World Congress boasts the title of being the biggest and best mobile event of the year and for good reason. Since its inception, it has continued to be on the platform for the unveiling of cutting edge of everything mobile. Additionally, this event has been the launching platform of success for the Smartphones, Smartwatches and Tablets, as well as seeing the emergence of the hottest new trends in mobile, such as 5G. What is the Mobile World Congress (MWC)? The Mobile World Congress is organised by the Groupe Speciale Mobile Association (GSMA). Since the ’80s, the MWC has been held in Europe, with particular favour towards Barcelona, Spain. This conference, however, does not limit itself to mobile advancement and innovation but only focuses on topics such as expert discussions on the future of mobile, mobile hardware, VR and other associated technologies. This year’s Mobile World Congress is set to be held in Barcelona, Spain, from the 25th – 28th February 2019. While all the main events are held between this period with keynotes speeches occurring and exhibitions, big announcements are held the day before. Note: Big announcements and press conferences at the MWC are usually done on Sunday 24 February. This Congress has become known as the biggest showcase events of the mobile industry. This is due to many smartphone manufacturers using this congress as a platform to launch some of their latest brands and other developments/technologies to its consumers. Additionally, this event sets the precedent of what is to come for the next 12 months. What to expect from this year’s MWC? We can expect Samsung to have a few things to say at this years MWC. They have confirmed that the Samsung Galaxy S10 will be released February 20th, only a handful of days before MWC 2019 kicks off. However, this does not mean they will not be making waves this event. There is much anticipation around discussions regarding their keenly waited folding device. Huawei will be launching the first 5G foldable smartphone in the world at the Mobile World Congress at their press conference on the 24th February 2019. LG is expected to announce and release a 5G-enabled handset. ‘The new product is equipped with Qualcomm’s latest AP’ Snapdragon 855’’, LG has announced in a blog post, ‘which improves the information processing capacity by more than 45%’. Additionally, LG has released a video invitation which hints that they are launching a handset which will be controlled solely through hand gestures without needing to touch the screen physically. Nokia has indeed incited excitement and intrigue surrounding the rumoured launch of the Nokia 9 PureView, which boasts as being the world’s first Smartphone with a five-camera setup on the rear. However, nothing has been confirmed, so we will have to keep our fingers crossed. 5G is on everyone's mind and with the MWC always on the pulse, one of the main themes of this year’s conference is 5G connectivity. We expect some big news in this sector and it looks like LG might reveal their 5G device, while there are reports that Xiaomi might make a 5G announcement as well. It looks like Sony Corp is bringing down the gauntlet towards Samsung and its battery life. It is said that Song will be launching the Sony Xperia XZ4 with a massive battery of 4,400mAh, which looks out to beat the Galaxy S10 that packs 4,100mAh. Additionally, this device looks to feature a triple rear camera setup with the main camera coming with a 52MP, the best any phone has had. These are just what we've heard so far from the MWC and we're sure there will be even more announcements during the actual event which will cause up quite a stir at the event as well as online. 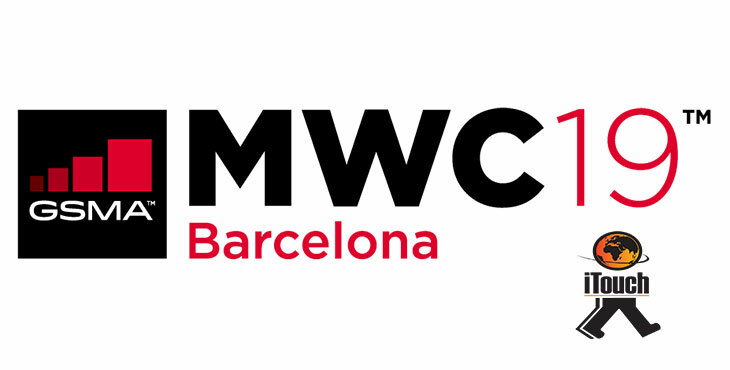 If you have any interested in the development of mobile then watch out for any and all news from the MWC 2019.